$49.99 & FREE Shipping on orders over $59 $35. Brace yourself! 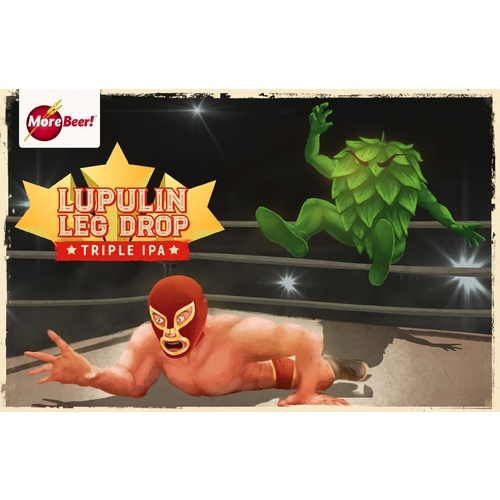 Lupulin Leg Drop has leapt off the turn buckle and it's about to lay the smackdown! 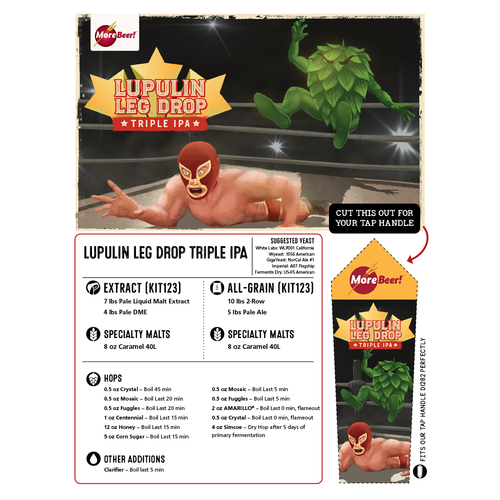 Inspired by Bell's Brewery Hopslam® Ale, this burly IPA calls for a royal rumble of 6 different hop varietals, including kettle additions of Crystal, Mosaic, US Fuggles, Centennial, and Amarillo®, and following up with a massive power bomb of Simcoe dry hops. This cadre of Pacific Northwest hops give the beer a resounding citrus character backstopped by tropical, grapefruit and floral notes. With a giant 15-pound grain bill, boosted by 12 oz of honey, this beer is strong enough to challenge Andre himself! Please note: this recipe calls for 12 oz. of honey, which is not included in the kit. 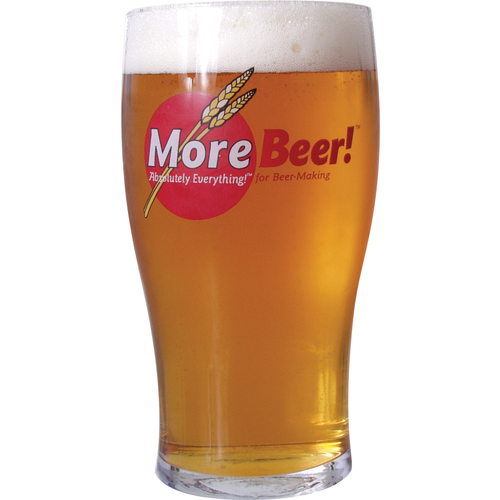 I have a Brewie+, can I use a all grain kit from morebeer on it? BEST ANSWER: Hi Edwin - Yes you can! Please refer to the description regarding the referenced kit. The honey that the recipe calls for must be purchased separately.